Russia will not participate in any talks over a new UN draft resolution on Kosovo's status, according to Russia's ambassador to the UN, Vitaly Churkin. The new draft gives the parties four additional months to settle their differences. If they fail but the 15-nation council approves Martti Ahtisaari's plan on Kosovo's independence, it will automatically come into effect. The four-month delay suggests there's now a single scenario. Russia is unlikely to accept the resolution on a delay saying it puts no pressure on Kosovars to accept any Serbian proposals. “We have not participated in the drafting of this new American-European proposal for the resolution. I mean of course we have talked with our colleagues, we have exchanged our views but we have not participated in the drafting, so this draft is entirely their responsibility,” stated Russian ambassador to the UN, Vitaly Churkin. If the next round of talks fail – and no agreement is reached, the UN resolution would automatically put into effect an independence plan. In March, a special UN envoy to Kosovo and former Finnish President Martti Ahtisaari presented a plan to the UN Security Council. It recommended a supervised independence to the Serbian province, which has been administered by the United Nations since 1999. At that time NATO bombing drove out Serb forces who had killed an estimated 10,000 ethnic Albanian civilians in a two-year war. Under the plan, the European Union would replace the UN mission, with power to veto laws and dismiss local officials. Kosovo would have the right to enter into international agreements and seek membership of international organizations, which could include the United Nations. The envoy's blueprint divided world politics into two camps. Serbia is clearly against this plan. Russia, with its strong historical links to the country, is backing Belgrade insisting it would not approve the proposal while Serbia remains opposed. The author of the long-debated plan, Martti Ahtisaari sees the year-end as an “absolute deadline” for the breakaway Serb province to become independent. “Russia must test the unity of Western countries regarding this issue. But the U.S. and Europe will pursue their joint look on this problem in the same way they did before,” dismissed Martti Ahtisaari, the UN special envoy for Kosovo. The U.S. administration has long backed Ahtisaari's plan. Earlier this month, President George W. Bush promised freedom for Kosovo. “We have spent some time talking about Kosovo. The time is now to move the Ahtisaari plan. 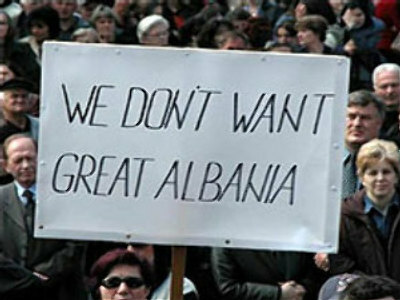 America believes that the Kosovo is to be independent,” George Bush said. For ordinary Kosovars the lengthy political stalemate is going nowhere. At the end of 2005 they were told the decision would be made within a year. With yet another postponement and disagreement between both sides, one thing has become evident – Kosovo is no simple matter. Experts now say a deal will depend on talks between President Bush and Russian President Vladimir Putin at their meeting in Maine, in July.